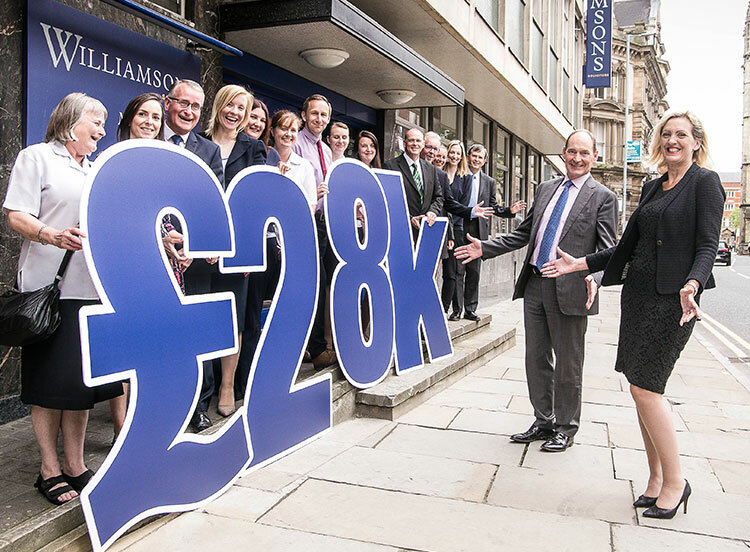 Williamsons Solicitors has celebrated its 125th anniversary year by raising nearly £28,000 for good causes. The firm, which has more than 120 employees at its Hull head office and Beverley, Bridlington and Driffield branches, teamed up with charity fundraising facilitator Hull and East Yorkshire Smile Foundation. It invited staff to nominate charities they would like to support through Smile. Williamsons director Bill Waddington said that any loss of dignity, such as being a prisoner in the Boss Behind Bars charity stunt, had been worth it during the fund-raising year. “Our team at Williamsons certainly deserves the plaudits. “Whether they’ve been running marathons, parachuting out of planes or cooking up a storm, they have gone beyond the call of duty. Mr. Williamsons and his fellow director, Sarah Clubley, spent an afternoon at Hull Prison in Behind Bars after being found guilty at the old Hull Magistrates Court, raising £8,498 in bail money. Tessa Wray, business development manager for Smile, said that working with Williamsons had been an absolute pleasure. “The company really got into the spirit of raising funds for some fantastic local causes,” she said. Williamsons started its celebration year last summer raising nearly £5,000 at a Devil’s Kitchen event at the Holiday Inn in Hull, with match-funding by the bank, Santander. Since then, there have been numerous charity events, donations and commitments by staff, including paying £3 a month for nine months for the chance to win an additional day off from work each month. This raised £2,800 for Smile by the Sea, a charity providing free breaks for families in need.